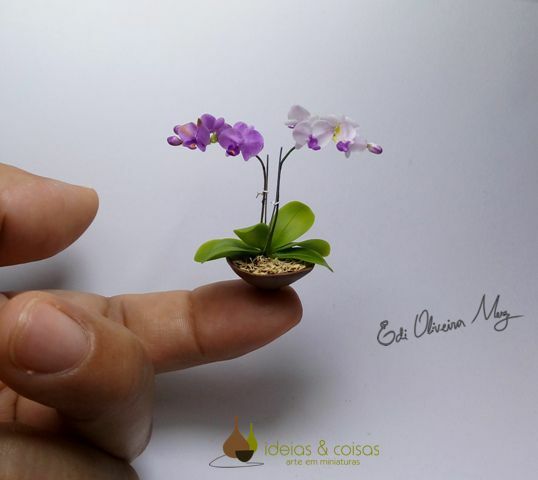 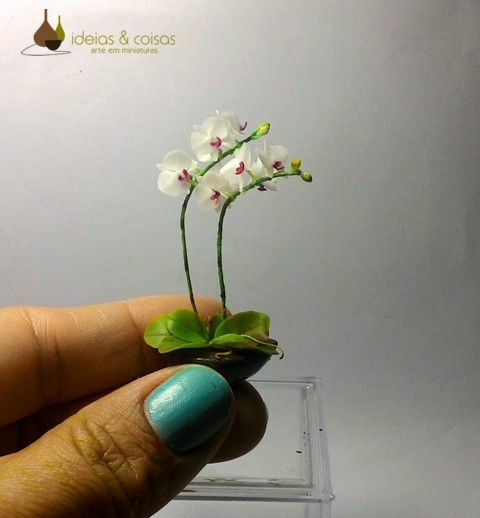 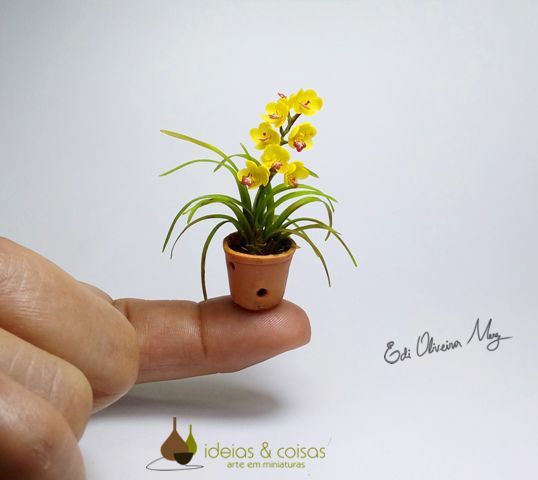 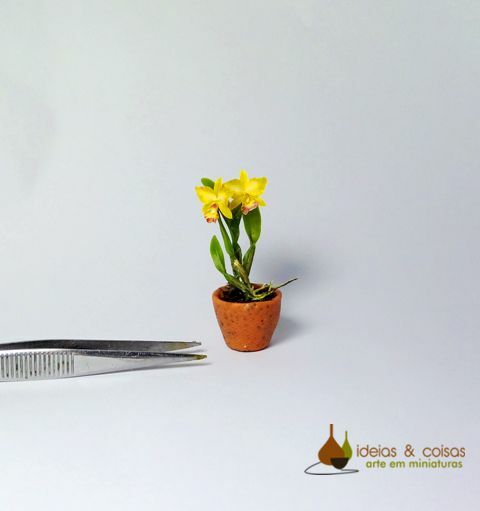 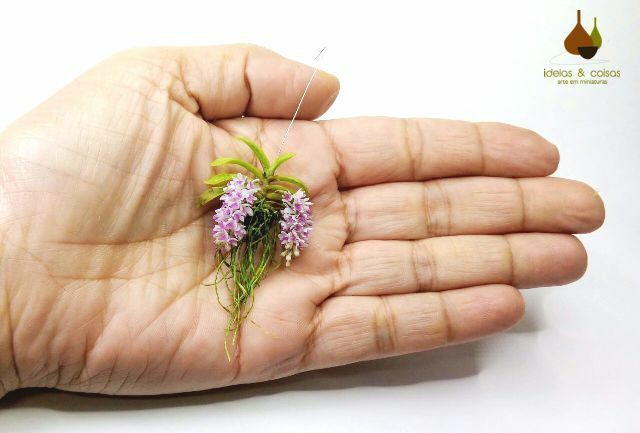 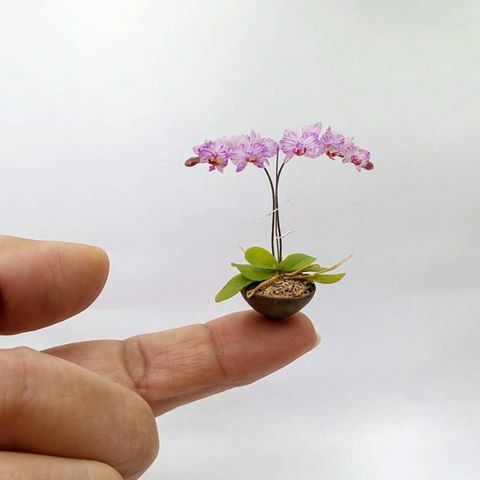 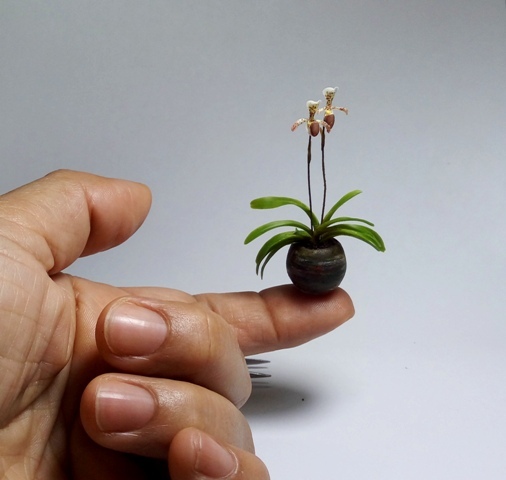 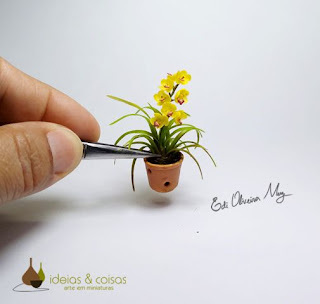 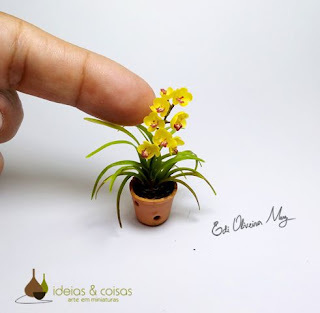 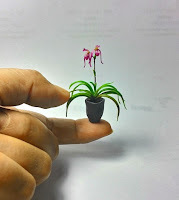 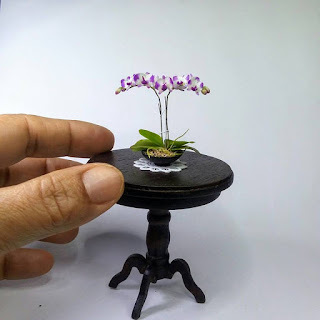 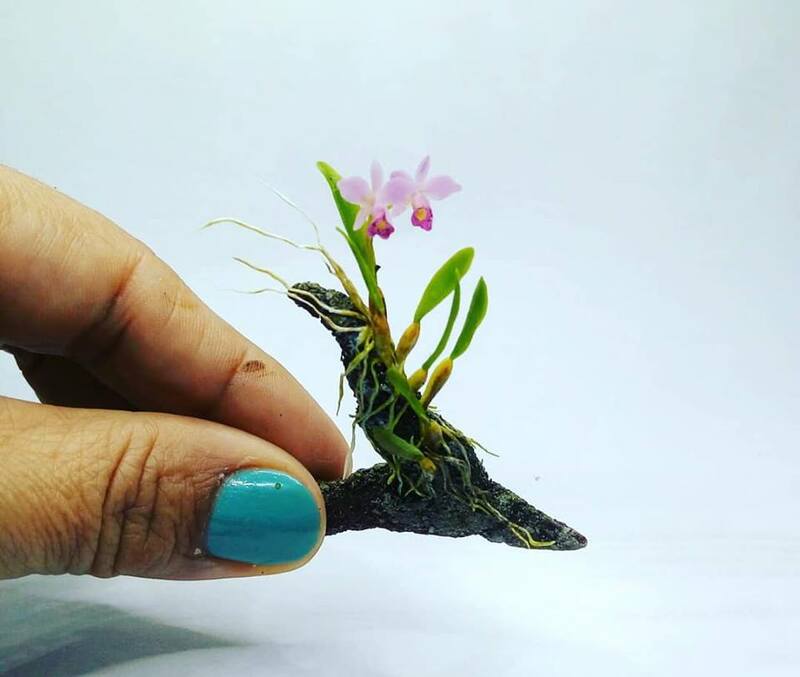 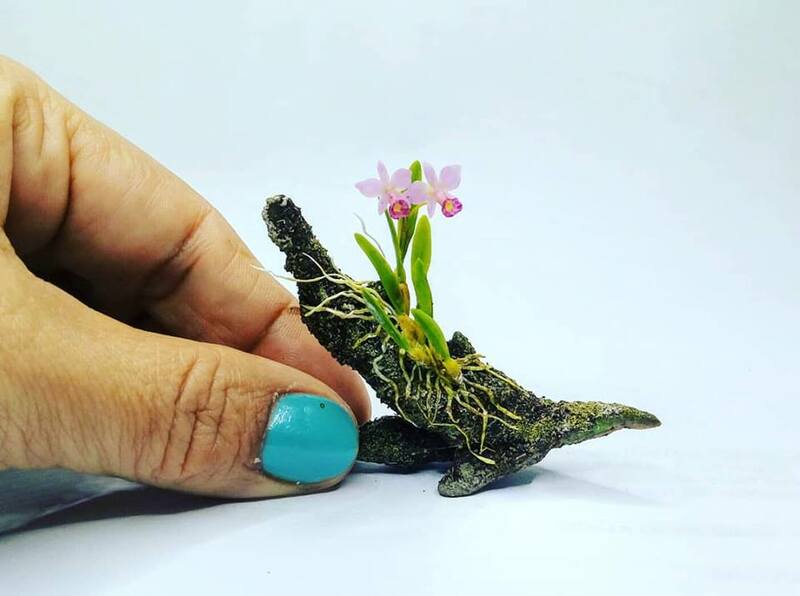 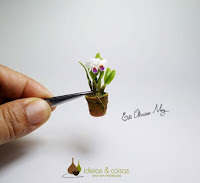 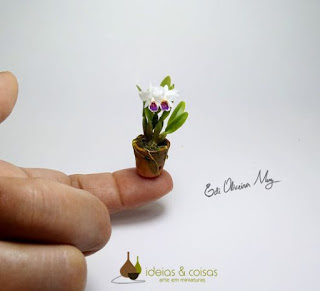 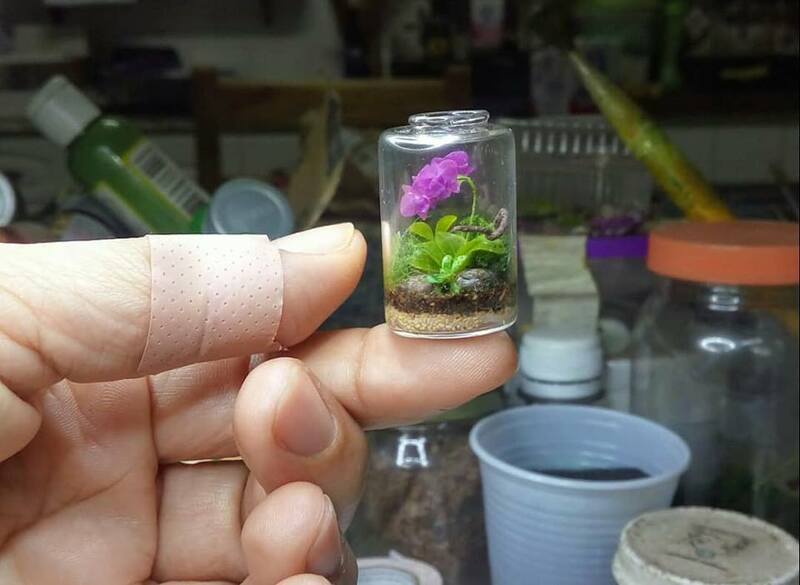 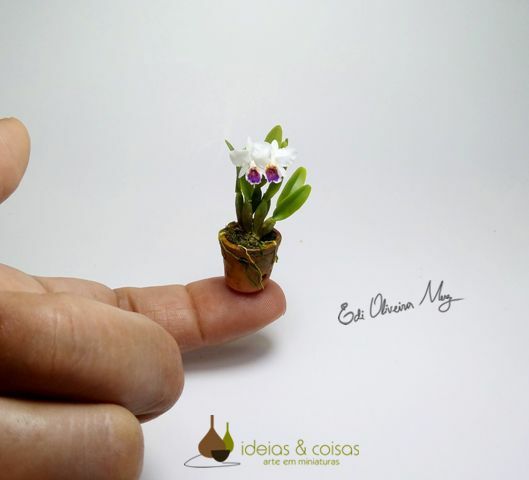 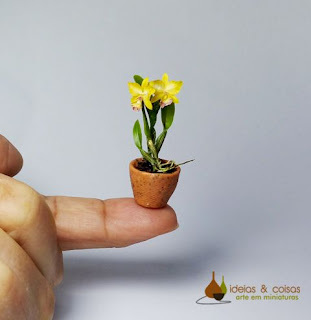 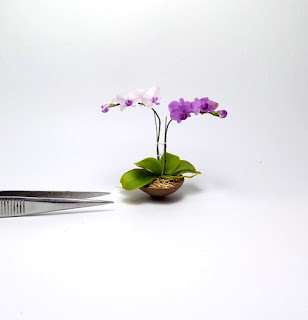 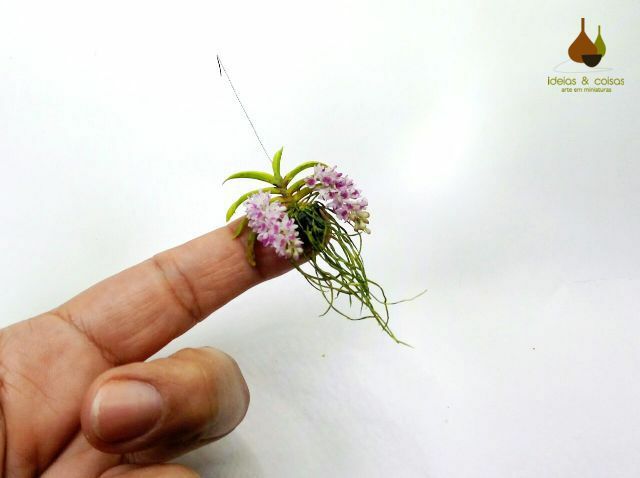 Todas as réplicas de orquídeas em miniaturas são feitas à mão em massa de modelar porcelana fria "Biscuit", desenvolvidas pela artista miniaturista Edi Oliveira Merez. 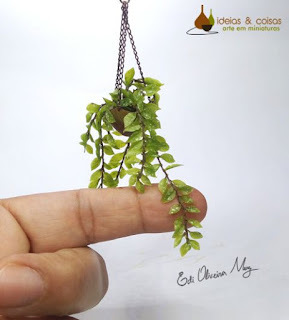 Edi Oliveira Merez was born in southern Bahia, graduated in administration, though her talents for visual arts was always present. 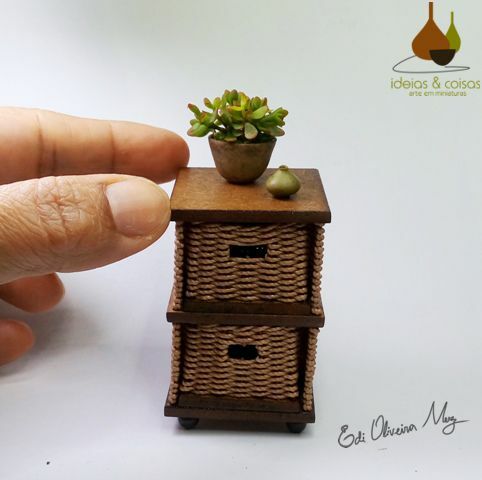 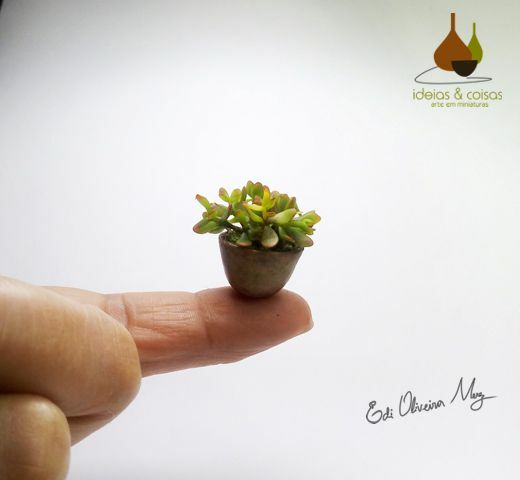 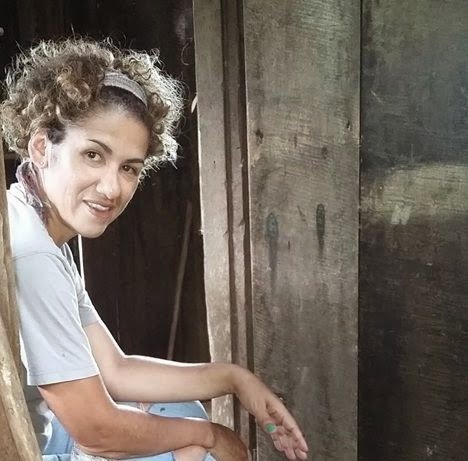 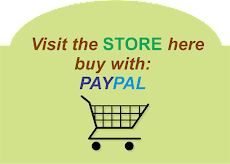 Edi has painted oil paintings, made pottery, restoration of old furniture, wooden handcrafted goods, and finally her true passion, miniatures. 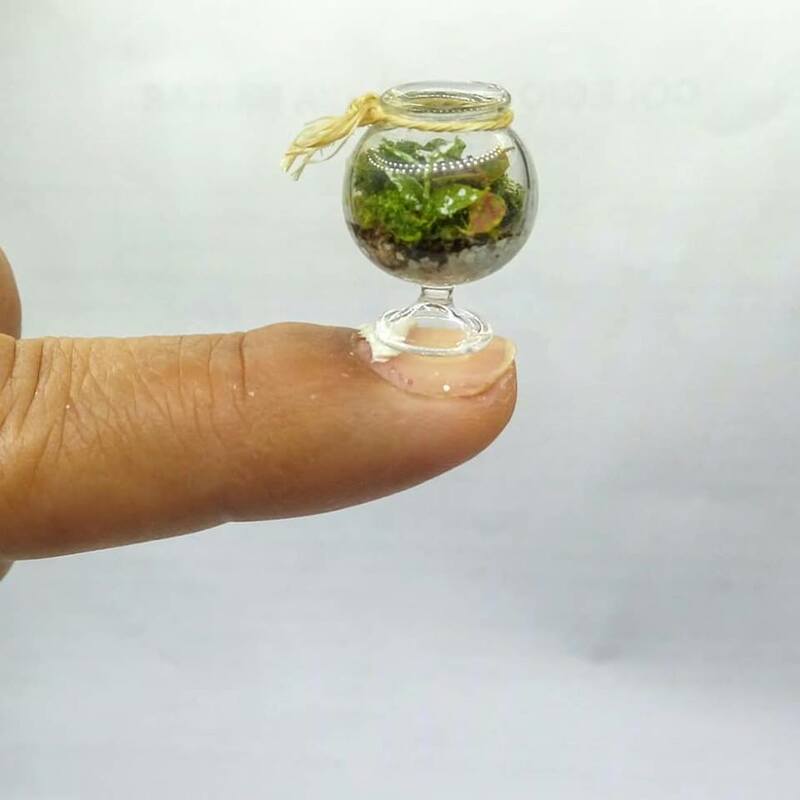 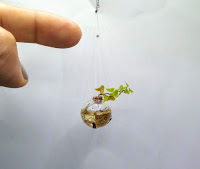 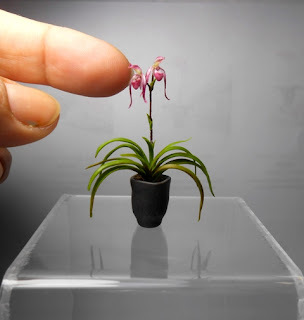 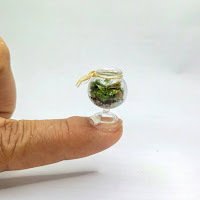 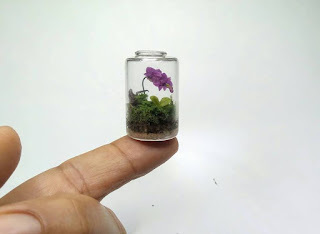 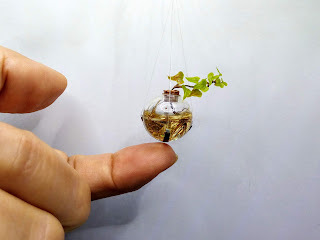 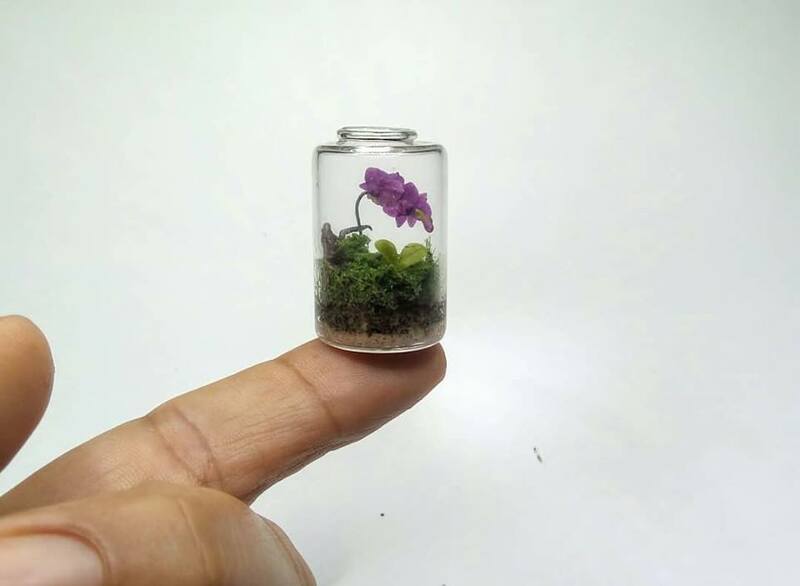 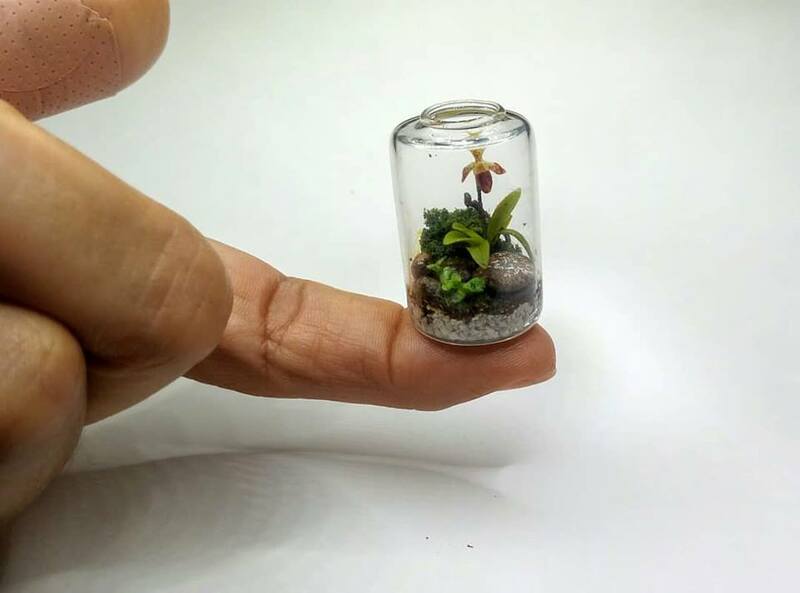 Each miniature is made indiviually; being a artistic work, it can’t be made in large scale, and just as in nature, there won’t be two identical pieces. 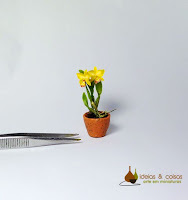 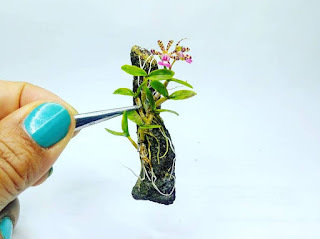 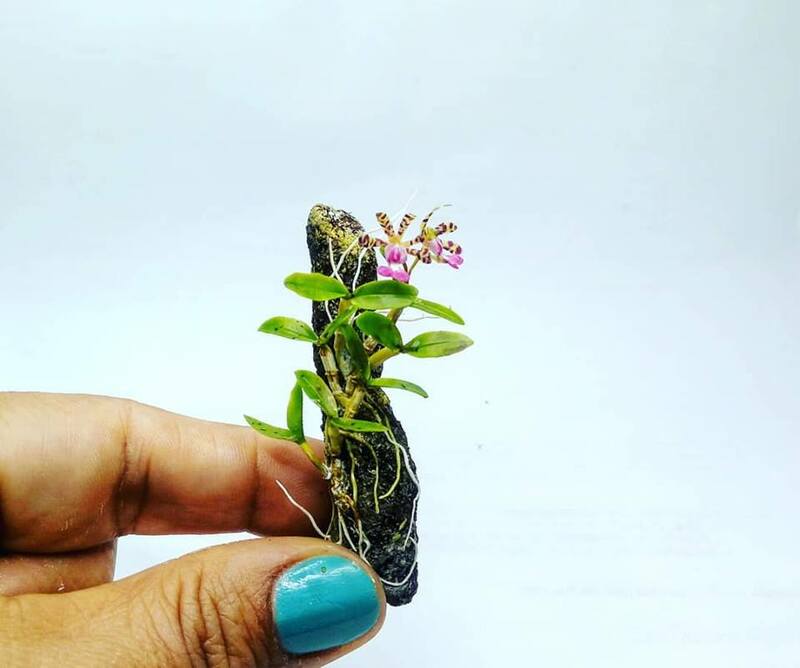 All the component parts of the plant are made separately, first the petals, then the sepals, the lip, the roots, the pseudobulbs, the leaves, the spathe and the roots, and then the artist unites these parts with a special glue and puts it in a vase with substrate. 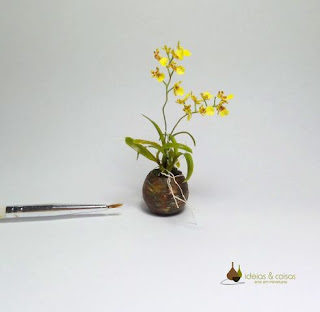 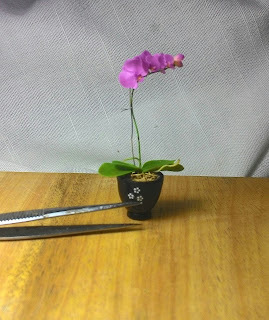 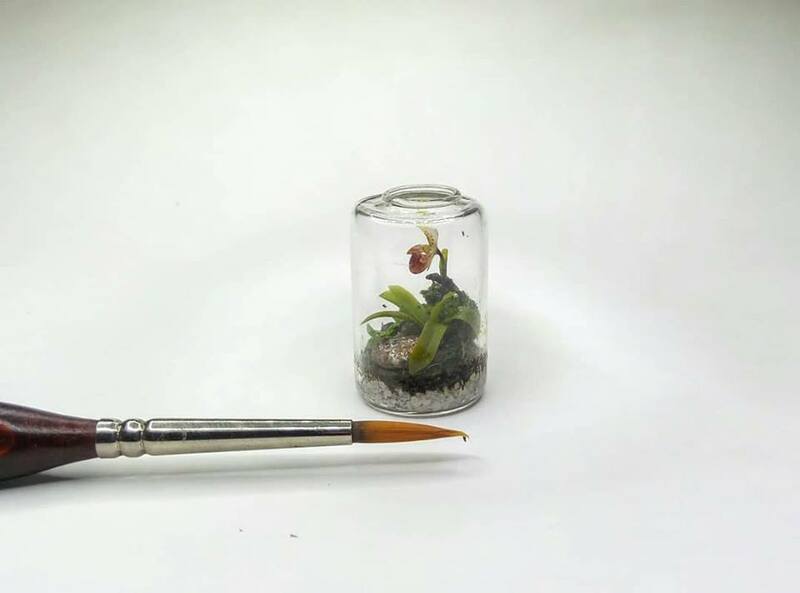 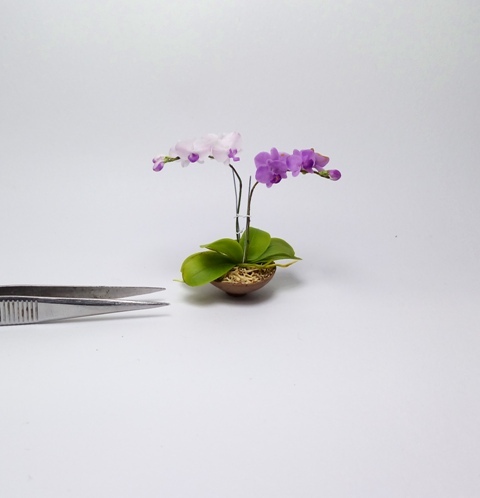 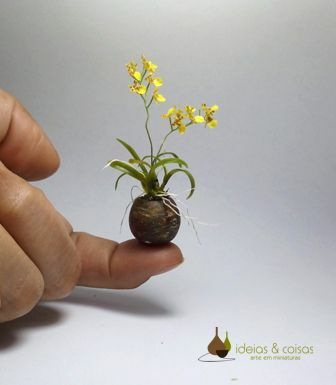 For the confection of these parts, the artist develops its own tools, which may vary according to the species represented, meaning that the tools used to make a Paphiopedilum, for example, are totally different from those used to make a Cattleya. 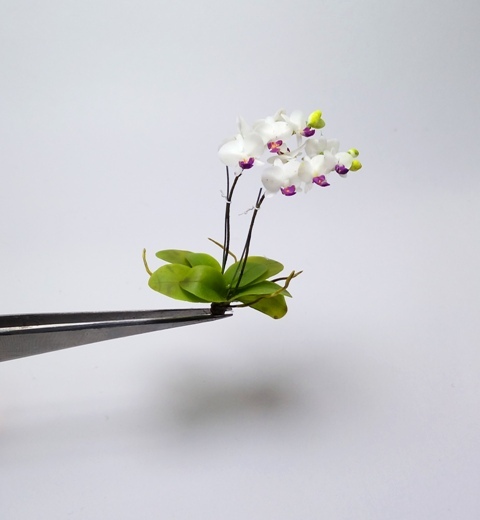 Furthermore, after the tools, manually molded adjustments are necessary. 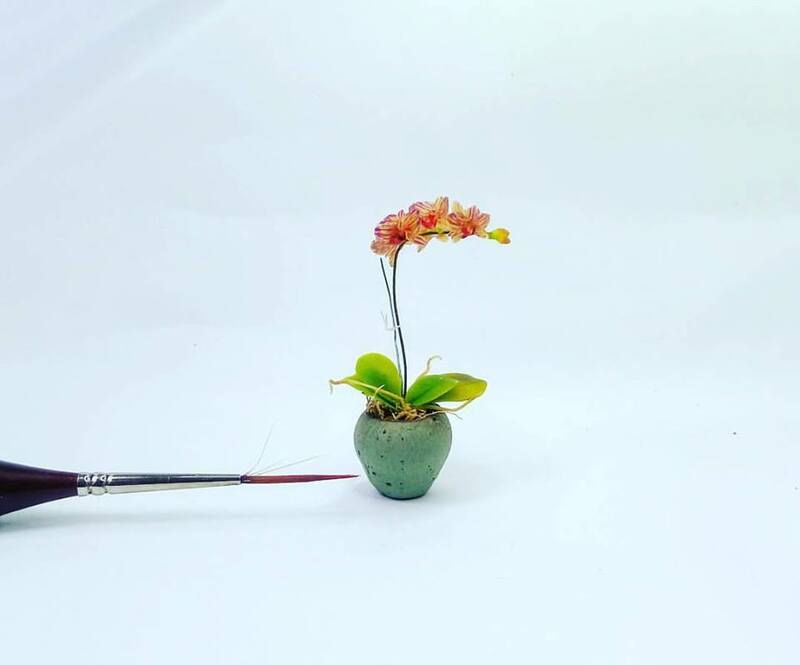 After that, it starts the manual painting. The painting seeks to ensure details such as mosses that form in the vase, the subtleties of variation of the green tones on the leaves (usually sprouts have a lighter shade of green than the older leaves), the straws that form around the pseudobulbs among other important details. 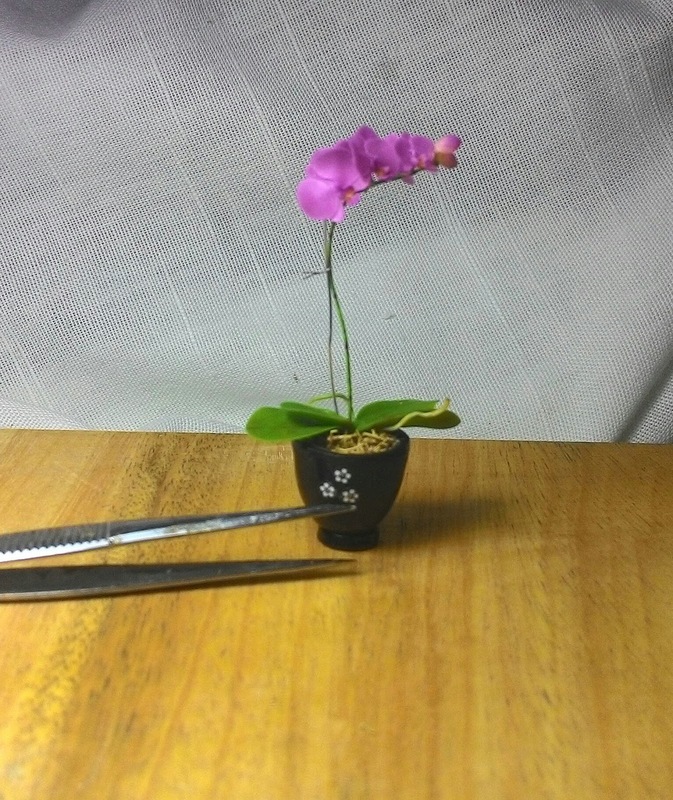 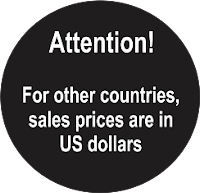 In particular, the lip paint requires more care and attention, first by the difficulties imposed by the small size and second the need to achieve as much similarity as possible, considering the factor that this part is the one that resembles the original plant.